Salif Sané is a Senegalese central defender with an eye for the ball and defends his territory with precision. His forays upfront is dangerous for his opponents. He is a master of positional play. Sane’s performance has been gathering momentum since he joined Hannover. Sané joined Hannover from French first division AS Nancy in summer 2013. Through the years, he has experienced the pain of relegation and the joy of coming back to the Bundesliga with Hannover. Sané is loved and respected in Hannover. However, his change of agent has made people speculate about his next move. Sané has a contract with Hannover until 2020. He has an exit clause to leave in summer 2018 for 8 million Euro in the Bundesliga or 11million Euro for England or China. Based on market trends, Sané is undervalued. Some scouts were at the stadium to watch Sane play against Stuttgart in their last Bundesliga match. The word on the street is that Tottenham is interested in his services. In the business of football, there is nothing like loyalty or trust. But Sané has proved that he is a man of his word. 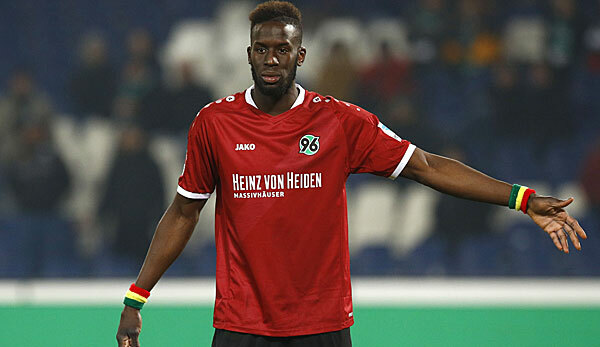 Hannover and Bundesliga fans should enjoy the ride with Salif Sané while it last.